We, music writers, can be very preconceived about the music we listen. If someone critically listens to a lot of albums, it is generally hard to leave her/his ears free of things she/he preliminarily learned about the music played. The line-up can be the most effective property of an album around this prejudice. 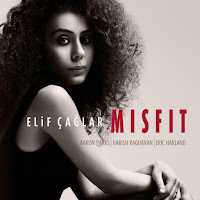 So I won't lie about the fact that I have been firstly hit by the line-up of Turkish vocalist Elif Çağlar's 2015 album called Misfit. 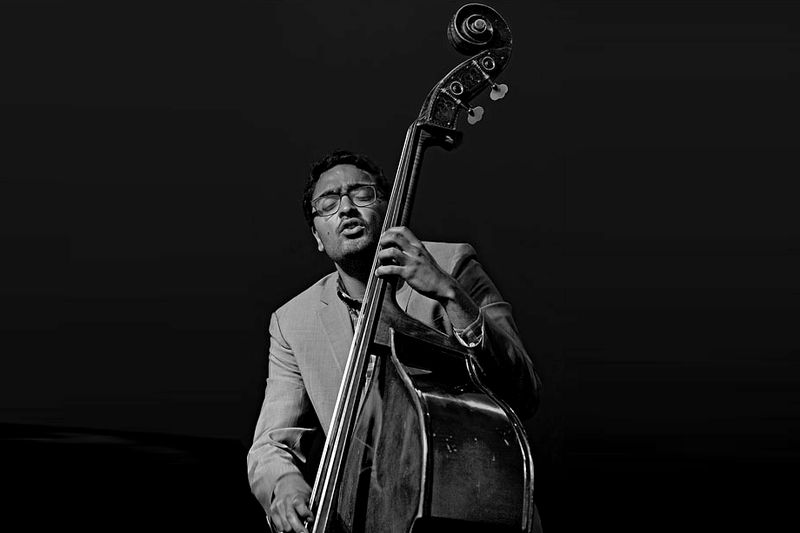 Aaron Parks on piano, Harish Raghavan on bass and Eric Harland on drums make an amazing main trio featured in some pieces by İlhan Erşahin on saxophone, İmer Demirer on trumpet and Cenk Erdoğan on ebow & fretless guitar. All compositions and arrangements belong to Elif Çağlar and this seems to have produced an album of full harmony between instruments and the vocal. We can classify the album easily in jazz but mostly in European style. Instead of those of an ordinary vocal jazz album, Elif Çağlar created songs in which her characteristic voice is not the main character but an equal and supplementary part of the whole music. The instrumental performances are no way just accompaniment. The tensional changes in the main trio's impressive performances are successfully reflected in vocalist's voice. The lyrics are hardly repeating itself and more than lyrics they sound like words from some stories. This creates a challenge for the singer - to be as melodic as possible against lack of easy and catchy textures in music. The main theme is built on the title Misfit which also found place in the liner notes as well as in the track namings as the second number. The first track You Are Safe starts with some naive bass & drum partitions and vocal introduction. Aaron Parks' piano flows on a symmetric line to Elif Çağlar's performance. The composition is so beautiful that it sounds really impressive even as a stand alone trio piece. Eric Harland creates a very wide dynamic range for the overall energy of the piece and Harish Raghavan's bass carries a soft ambience consistently to the vocal performance. The title track is another example of a very qualified composition - the instruments are far away from being just a background for the vocal; they are instead playing as if this is their own trio performance. 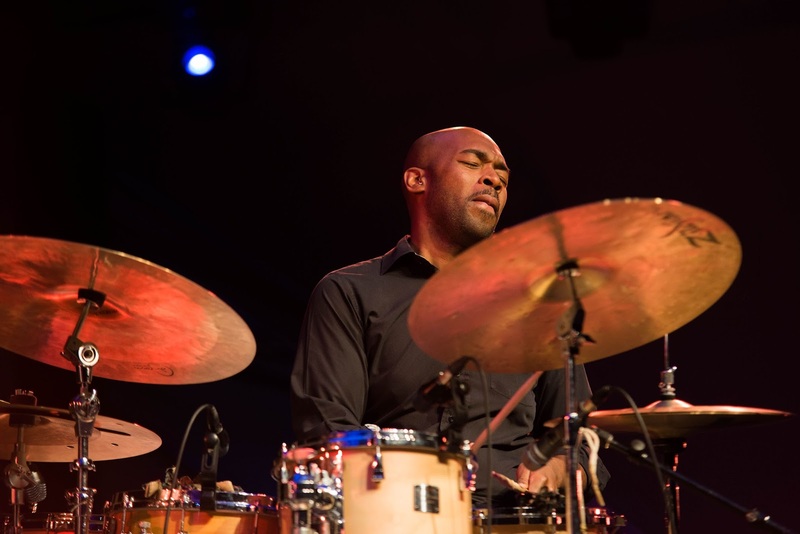 Eric Harland seems to be the main character behind the energetic soul in which the listener is constantly surprised with his toggling pace and rhythm equipment. The story told in the lyrics is for misfits - for the ones outside the mainstream. Catch Us If You Can starts like a simple up tempo Turkish rhythm but then turns into something else especially with İlhan Erşahin's impressive entrance. The lyrics are about kids. Energetic kids... Before sounds almost like an ECM album with its introduction. Harish Raghavan's exceptional performance should be mentioned here both for his solo and strong tone audible behind everything else. Elif Çağlar's vocal sounds extraordinary especially in the first part compared to her other performances in the album. I can say that this tone of hers is my favourite with any local or genre-related influences removed. Get Out Get Out is a rebellious song against all today's world order dependent on consumption, money and fame. It is impressive not only with its lyrics but also with the musical performance shown by Elif Çağlar as well as intrumentalists. 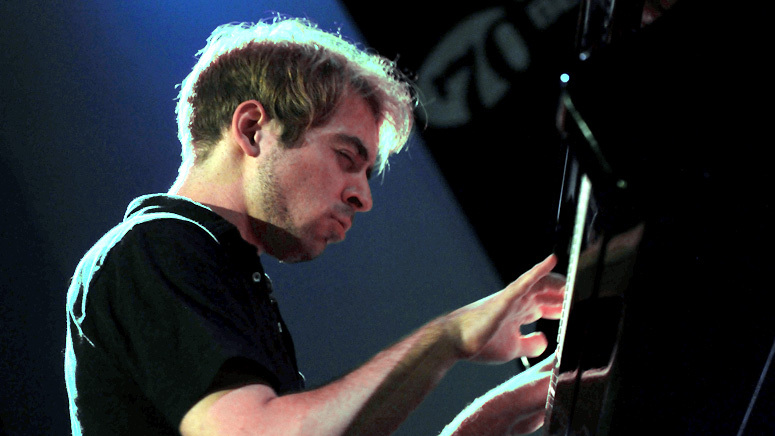 The keys from Aaron Parks give a real electrified ambience to the piece and Eric Harland is amazing on his drums swinging between different levels in the tension with high frequency strokes. Aaron Parks' dark tone from bass lines creates a horror-movie-like entrance for the piece Follow You. In contrast, main body carries a hopeful theme and we listen to one of the best performances of the album for Elif Çağlar. Eric Harland and Harish Raghavan are very busy and successful again with joining the dots put by Aaron Parks and Elif Çağlar. Started with some rain drops from the piano and some minimal touches from Cenk Erdoğan's fretless guitar, The Books turns out to be a very interesting piece especially at the last verses of the lyrics, after which we hear a very spicy - surely from Turkish music - vocal particles from Elif Çağlar accompanied by a great performance of Cenk Erdoğan from ebow and fretless guitar. Grown Up features another prominent and experienced Turkish musician, trumpetist İmer Demirer. The harmony between the trio and the trumpet is so nice and touchy. Through the end of the album, this piece is like a calm island. The lyrics are based on a difficult question: Why Do We Grow Up? Man Down starts with a thunder-like performance of Eric Harland and Harish Raghavan. 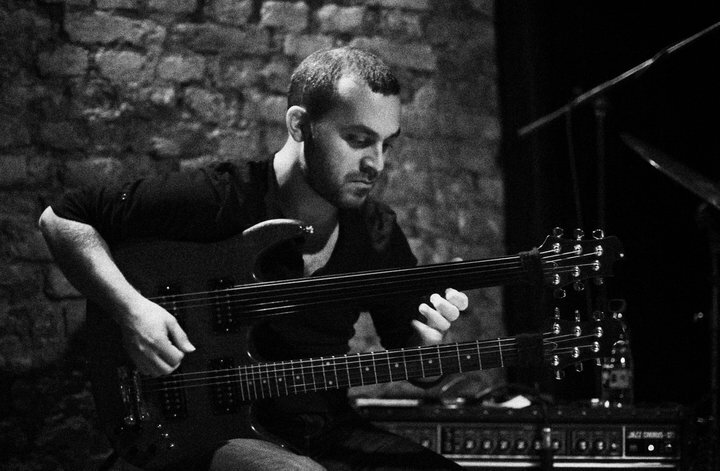 Elif Çağlar achives to be as fast as them and Aaron Parks is the cool-headed member of the band as can be seen from his nice solo performance. The vibrato-like vocal from Elif Çağlar is impressive in the end. Pieces of Heaven starts like a slow tempo final for the album but the tension changes just after the first 30 seconds. Some vocal movements reminds me again some eastern influences and it is interesting to see these nuances merged with a piano-based trio music. 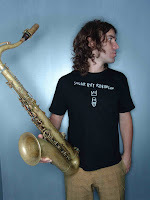 The album is recorded in three different places by three different crews: Brooklyn Recording in New York by Andrew Taub & Nick Nagurka, Babajim Studios in İstanbul by Özcan Ertek & Görkem Gürdoğan and Studio Undo in İstanbul by Barış Yerli. The mixing is achieved by Alp Turaç and the mastering is made by Pieter Snapper both from Babajim Studios. The album is produced by Elif Çağlar and it is released by NU-DC Records. The overall sound clarity and placements of all instruments on the stage are all successful. The vocal/instruments balance is very well achieved. The record sounds organic enough and especially drum and bass are very granular and clear.